Classic Homeworks is a member of the HBF‘s Project Fulfillment Committee. We were able to Captain our Classic Homework’s crew in May for a ramp project in Denver. The project lasted a few days and will help the homeowner’s accessibility to and from the house. We hope that she will be able to enjoy getting out and about! 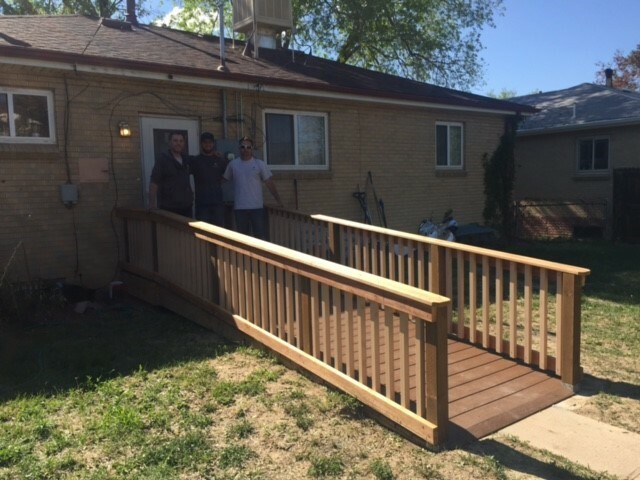 Thanks to our team of carpenters for going above and beyond to build this nice ramp! See all of our community service projects.